Yadira Caraveo, your State Representative for House District 31, is the daughter of immigrant parents who moved to Denver from a small town in Mexico in the 1970s. Together they raised four children in the suburbs of Denver. The oldest of four children, Yadira and her siblings have called Colorado home since birth. Yadira herself has been a resident of Adams County since the age of 6! After graduating from Northglenn High School, Yadira went on to earn a Bachelor of Science degree in Biology from Regis University with the goal of attending medical school, which she soon accomplished and received a degree as Doctor of Medicine from the University of Colorado. After spending three years in Albuquerque, New Mexico for her pediatric residency she was eager to return home to Colorado and her beloved Adams County, settling down in the city of Thornton where she currently resides and practices as a pediatrician. Since returning to Adams County, Yadira has devoted herself to caring for the children in her practice, Peak Pediatrics and its surrounding community. Advocacy has been important to Yadira in many ways, as she believes that it is important to pass on the help she received from family, friends and her community as she worked towards her goal of becoming a doctor. This ideal became an important part of her medical training in pediatrics as she became an advocate for the Affordable Care Act and worked with public servants to improve the health services of her patients in New Mexico. Even during her residency Yadira worked to improve the working conditions of her fellow medical residents and was elected union representative for the Committee of Interns and Residents, part of SEIU (Service Employees International Union). Also while in residency Yadira worked with the Union of Concerned Scientists in Washington, D.C. around the issue of the health effects of climate change. In recognition of this advocacy work Yadira was honored by the Obama White House as a Champion of Change in 2013. Being a pediatrician, child advocacy has been a great focus for her. She currently serves on boards for the Early Childhood Partnership of Adams County and on the Governor appointed Colorado Behavioral Health Transformation Council, which focuses on improving mental health services across the state. Though medicine and affordable and attainable healthcare are all passions, Yadira can attest to gaining knowledge from her surrounding community. Her local library, which was only a few blocks away from the home she grew up in, was a favorite destination. This local Adams County branch was central to her education growing up. In 2017, Yadira was appointed to the Board of Trustees for the Anythink Library system in Adams County, the same library system she visited as a child. Through her participation on this board she is committed to keeping libraries as effective resource for the children of working families, as they were when she was young. The road to her passion in politics started at a young age, but really began with volunteering for political campaigns while in high school. Realizing how central local and state policy decisions are in the care of the children she sees every day in her clinic, she decided to become more involved in her local party by becoming the Assistant Secretary of the Adams County Democrats. The driving force in pursuing opportunities in politics was sparked by finding other Democrats just as devoted to strengthening their county and state as she has been. With this spark, she was further inspired to run for the House of Representatives in 2018. Yadira is excited to serve in the State House and to provide the perspective of an immigrant family, a minority and a member of the medical community. The rest of the Caraveo children also are lucky enough to call Colorado home as well. Her oldest brother owns his own business as a diesel and heavy machinery mechanic. Celebrating three years of marriage this January, his wife helps manage their family business as well as their ranch near Elizabeth, Colorado. Together they have two amazing and bright children, always eager enough to help with all the daily chores that come with running a farm! Though, now and then, they love to take trips to the city and enjoy some time with their aunt Yadi. The youngest of her brothers, also interested in political activism within Denver County, began the family Colorado Buffalo legacy graduating from CU Boulder and working as a Civil Engineer in Denver. His wife, who he met in college, currently works as a social worker and is also working towards a master’s degree. Despite a 10 year age difference between Yadira and her younger sister they hold true to the adage that “your sister is your best friend.” Yadira’s younger sister, and the second CU Buffalo in the family, currently works in Marketing at a growing tech company in Denver. In truth, the glue that holds it all together is their parents. Yadira’s father has worked in construction for the majority of his life. He worked on such projects as Denver International Airport, the Glenwood Canyon highway and other notable projects throughout the years. Her mother worked in education and was a devoted stay-at-home mom who now works in childcare. Yadira is surrounded by an extensive family both in the U.S. and in Mexico. Growing up, her family home was always filled with family, friends and visitors. Her parents instilled the importance of kindness and community as they brought so many people together, usually surrounded with great food. There was never a night when they weren’t together, sharing the day's events at the dinner table. Along with the ideals of community, support and family, her parents also highly emphasized the importance of education, hard work and helping others. 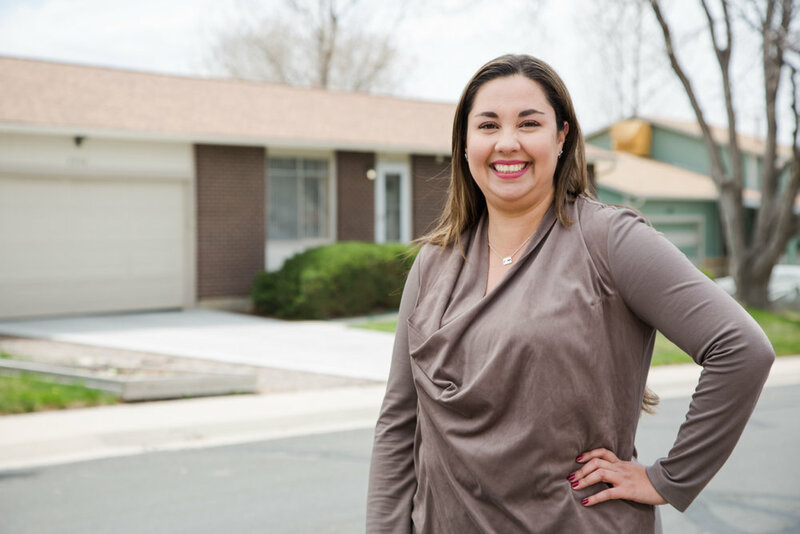 These are characteristics that all the Caraveo's value and strive to make part their daily lives and Yadira will bring this passion for hard work and community with her as she serves in the Colorado State House.